The second annual Best Night celebration of all things that make the Chippewa Valley great will take place Feb. 9. Guests will enter via the red carpet or cut straight through to the vinyl stylings of DJs Billy Siegel and Matthew Mabis and dive headfirst into a dynamic, multifaceted cocktail party. The main floor is furnished in style by Eau Claire Business Interiors and decorated to the nines. Get some laughs in the V1 Nano Comedy Van and explore virtual worlds with Voxel Virtual Reality. Weave through shadow dancers, living statues, and roving Glopera puppets to one of two bars to grab a beer, a glass of wine, or a specialty cocktail by Dive or The Informalist. 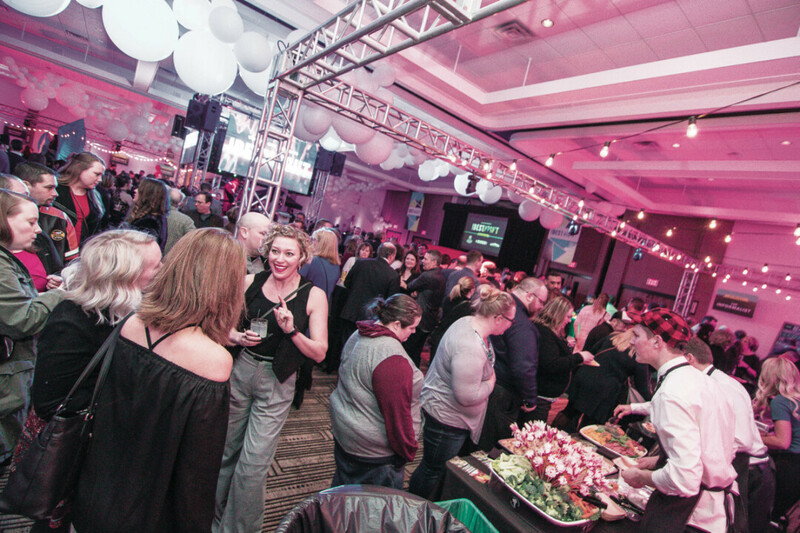 Hors d’oeuvres and tastings from a dozen local restaurants will keep your energy up, or you can chill in a vintage luxury lounge pod designed by local event furnishing experts Sweet Legacy Vintage. Throughout the night, watch for the announcement of this year’s Chippewa Valley Vanguard honorees. “The Best Night is really an event for the community to come together to celebrate the Best of the valley and it’s a night you don’t want to miss,” event coordinator Michelle Rowekamp said. A portion of the VIP ticket sales for this event will beneft Feed My People Food Bank. More information about The Best Night is available online at www.volumeone.org/bestnight.